Irish cinema exploded to life quite dramatically in the early 1980’s with the birth of the Irish Film Board. Prior to this the notion of Irish cinema promised much yet never delivered, thus creating a history mirroring that of the country itself, a history peppered with foreign invasions and uprisings. However these invasions were of foreign filmmakers, and these uprisings were that of our own filmmakers and their discontent. Indeed the hiccup that is the Irish cinema has long troubled film history as a whole, beginning with Sidney Olcott’s Irish productions and his aborted attempt at instigating a studio system pre World War One. This carried on to the short lived Film Company of Ireland – created in 1916 but defunct by 1920, or to the great drive for independent Irish cinema in the 1930’s that yielded such bounty as Guests of the Nation (1935) and The Dawn (1936) but very little else. It seems that these films greased the gears and an Irish cinema machine had finally creaked into motion, yet they were ground to a halt once more designed, maybe, and ironically, by our own desire for independence. Kevin Rockett voiced the belief that the restructuring of our small economy, post Civil War years, could not sustain a burgeoning film industry, and so that chance of one was scuppered. 1958 saw the creation of Ardmore, a studio that in its formative years proved as much of a hindrance to the cause of Irish cinema as it had been an asset to it. Ardmore was used primarily as a base for foreign films and not as an outlet for indigenous filmmakers, thus retarding the notion of creating an Irish cinematic identity. Ciaran Carty, on the topic of Ardmore in his 1995 book, A Personal History of Censorship and the Irish Cinema, states; “Ardmore did nothing to stimulate Irish Film production…Ardmore was an illusion of a film industry.” Indeed, the demise of Ardmore, in April of 1982, coincided, roughly, with the inception and the rapid rebirth of the Irish Film Board and it was this moment in Irish cinema that really gave Ireland its first film industry, an industry that nearly collapsed upon itself after the funding dispute that arose out of Neil Jordan’s debut feature, Angel, in 1981. To understand the vitriolic war that erupted in the aftermath of Angel, the origins of the Irish Film Board must be examined as the first real proof that Ireland had the potential to finance its own films, origins that stretch back to the late 1960’s. In 1966, the then Taoiseach, Sean Lemass, regarded cinema within the Republic of Ireland as nothing more than an export industry that had yet to be fully tapped, an industry that had brought $3million into the state in 1965. In 1966, his successor as Taoiseach, Jack Lynch, under the lobby of American film director John Huston, set up a committee to investigate the viability of a film industry in Ireland, a committee chaired by Huston himself. Huston was aided by, among others, Lord Killanin, a co-director of what had been the Four Provinces Production Company and a member of a similar committee from 1955, which had also investigated the possibility of developing an Irish film industry. Huston and Lord Killanin published their findings in 1968, findings that eventually became the Film Industry Bill of 1970. This Bill had to wait ten years before it was passed and became the blueprint for the Irish Film Board in December of 1980. With the organization of the first Irish Film Board, Neil Jordan (a then novelist) became the first to benefit from a scheme to finance indigenous films, the foundation of what was hoped would become the Irish film industry. His debut feature, Angel, co-funded to the tune of £400,000 by Channel Four, went into production in 1981 and on its release, in 1982, was described by Aidan Dunne in In Dublin magazine as “probably the most important Irish film yet made.” Instead Angel nearly killed the notion of an Irish Film industry, creating a wildfire of controversy, dividing professionals in the industry in Ireland to the point that the AIP (Association of Independent Producers) organised a boycott on the newly instated Irish Film Board. How could one film create such a storm and how then, if Angel was to be seen as the foundation of an Irish film industry, could a stable entity be built if these foundations began to crumble and subside so early? The Irish Film Board Act was passed in December of 1980, and was eventually set up in late summer 1981 with three key members, Mr. Louis Heelan, Mr. John Boorman and Mr. Robin O’Sullivan. Here lay the seeds for the controversy that later engulfed Jordan’s Angel. With the publication of the Film Industry Bill in 1970, it stated that a committee of seven should be set up to oversee the allocation of funds in relation to the creation of short and feature length films within Ireland. It took ten years for this recommendation to be put into practice. With Heelan, Boorman and O’Sullivan in place, it left four places on the boards proposed seven-man committee vacant. This in itself was not a stumbling block to the Film Board as the Board could legally function and make decisions on funding as long as a quorum of three committee members were in place. The AIP decried the fact that three people, as opposed to seven, would have the final say on what was funded and what was not funded within the Irish State. What also galled them was that, of their members, which included such figures as Bob Quinn, Michael Algar and Tiernan Mac Bride, none were asked to join the initial three man committee and that of the three men that did take positions, none were active Irish film makers. Louis Heelan was the General Manager of the ICC (Industrial Credit Company), John Boorman was a film director but not an Irish national and Robin O’ Sullivan was Director of the Cork Film Festival. By late August the AIP were not the only ones to grow concerned at the structure of the Film Board. A press release from the Irish Film and Television Guild (IFTG), dated August 24 1981, stated that they were happy to see the beginnings of a Film Board but, “the guild looks forward to the appointment of the remaining four members in order that the work of the Board in financial assistance, training and distribution may commence for the benefit of Irish film makers.” With this, the IFTG implied that the Board could not have sufficient strength to disburse monies from the government until all seven members were in place and not just the quorum of three that sat for the funding of Angel. Part of the problem with the Irish Film Board and Neil Jordan’s film Angel lay in the fact that Neil Jordan, as a debutant film maker, was allocated funding, as opposed to some of the more seasoned veterans such as Joe Comerford, Thaddeus O’ Sullivan or Cathal Black. Indeed, the AIP stressed the fact that any problems they had did not lie with Neil Jordan as a person or with Channel Four, the major contributors to the film. It was the nature of the funding and the evident conflict of interests that existed. Indeed, in a press release that would prove decisive for John Boorman’s role in the Irish Film Board, the AIP stated that it “…has no dispute with the director of the film, Neil Jordan, nor with any of the rest of the crew or cast, nor with Channel Four, who were the major investors in the film…AIP rejects the attempt by John Boorman…to legitimise and give respectability to his activities in the Irish funding of the film.” This tension between the AIP and the Irish Film Board grew steadily and rapidly. The AIP believed that the Irish Film Board was operating illegally due to a perceived conflict of interests. This stemmed from the fact that both Heelan and Boorman, two of the three-person committee for the Irish Film Board were also committee members of the NFSI (Ardmore Studios), the place that would benefit most from any decision made by the Irish Film Board. The AIP claimed that this was distinctly inappropriate, stating that Boorman had acted illegally in casting his vote in whether to fund Angel or not. The AIP claimed in a memo to all its members (date unknown); “that under Section 17 of the Irish Film Board Act that a member of the Board with a personal interest in a matter before the Board for decision shall, before discussion by the Board, disclose this interest and the nature of the interest and the disclosure has to be recorded in the Minutes of the Board.” Mr. Boorman later denied that he acted inappropriately, claiming in the Irish Times that once the project came up for discussion within the Irish Film Board, that he “declared his interest in the project and then withdrew.” This in itself makes the assertion that Mr. Boorman withdrew from the voting process quite hard to believe as the Irish Film Board was only legally able to operate under the quorum of three members, so, if Mr. Boorman withdrew then the voting body would have been just two members, too small a number for a legal vote on the topic of funding. Mr. Boorman himself, in an earlier statement to The Irish Press in October of 1981, did not dispel the notion of impropriety in the selection process, when the furore over the Irish Film Board was reaching fever pitch. Mr. Boorman said, to quote Philip Molloy, “Mr. Boorman…declared his interest in the project, and they then judged the project in terms of its basic merit, and also took the fact that it was Irish and would employ and all Irish cast and crew into consideration.” This goes against Mr. Boorman’s later interpretation of events where he states that he “withdrew” from the process and fosters the belief that he was aware of a perceived wrongdoing on his part. With both these statements in mind it is possible to say that Mr. Boorman was conscious to the fact that an outside party could draw the conclusion that he acted illegally within the Film Board quorum of three and that he had – or was aware of – his vested interests in the film project Angel. The AIP, in a press release relating to John Boorman’s involvement with Angel, stated; “AIP does not dispute that this award (funding) might well have been made by a full seven man Film Board including Irish Film makers. However, under these circumstances there would not be the same appearance of impropriety that there now is.” Ciaran Carty, in his 1995 book, Confessions of a Sewer Rat, defended The Film Board on their decision to fund Neil Jordan’s film, explaining that one of the major deciders for the quorum of three in allocating Neil Jordan funds, as opposed to any other film maker, is that Jordan had approached Channel Four himself. As they, Channel 4, wished to fund the making of Angel, they were ready to invest £400,000, 80% of the overall budget, and put the film into production straight away (late 1981). 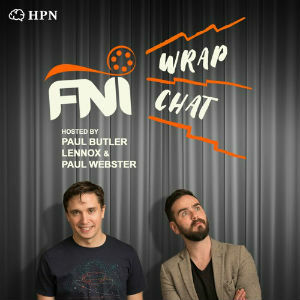 This information proves that the Irish Film Board were in fact not bound to making the film, but to simply to ensure that it got made in the first place. It can be said then, with this in mind, that the decision to fund Angel was out of their hands, either they support Angel or the film deal collapses and Angel would never have been made. The funding came with one condition though; Channel 4 wanted John Boorman to be involved as a guarantor, to ensure a certain amount of safety to the film. One of the issues that the AIP had, as voiced by its chairman Bob Quinn, was the fact that the Irish Film Board provided half of its annual £200,000 grant to the making of Angel. The remaining £100,000 was, at the end of the year returned to the Exchequer as opposed to investing in other Irish productions. This, along with the fact that a first time director had been selected for funding as opposed to the more senior and established filmmakers of the AIP, led the AIP to take action. This action seems especially drastic if you look at the struggle that Irish film makers had before the Film Board was created to find funding. On October 21st, 1981, Tiernan Mac Bride, wrote a letter to Mr. Pat Keenan of the ITGWU telling him “…the Executive Committee of our Association decided to request its members to withdraw all applications to the Irish Film Board. It has also asked its members not to make any new applications.” This effectively put the final nail in the coffin of the Heelan, Boorman, O’ Sullivan incarnation of the Irish Film Board as the filmmakers of the country turned against it. It may also explain, in some fashion, why the Irish Film Board had to return £100,000 of unspent grant money to the Exchequer at the end of 1981, as all applications, under instruction from the AIP, were removed from the funding process, so how could the money be spent. In The Irish Press Newspaper, John Boorman attacked and contradicted this published view that Angel was using a large body of foreign technicians. He said that, “…with the exception of the cameraman [Chris Menges] all the technicians on the film were Irish and the cast was Irish.” These words were echoes of views shared by Neil Jordan in The Irish Press the previous day, November 3rd 1981. He added, “It is very saddening that instead of rejoicing we are greeted by a chorus of invective.” Indeed Bob Quinn seemed only able to use the fact that Chris Menges was not Irish, to which John Boorman pointed out in the Sunday Tribune Newspaper (date unknown) that; “…a British/TV company Channel Four was financing it [Angel] to the tune of £400,000 so it was reasonable that a certain amount of technical facilities should be supplied by Britain.” By this, Boorman implied the use of Chris Menges and the utilising of a camera car from England. The crisis that was rapidly becoming the production of Angel took its first casualty not long after Angel started principal photography. In a letter dated October 19th 1981, Mr. Louis Heelan made it known to Bob Quinn that he had resigned his post on the Board of the National Film Studios and within two months, on December 15th 1981, he also resigned from his post as Chairman of the Irish Film Board, citing work commitments within his full-time job with the ICC as his reason. With Heelan’s resignation and John Boorman declaring his position open, the boycott of the Irish Film Board was lifted within the first week of January in 1982. Mr. Muiris Mac Gonghail replaced Louis Heelan as Chairman of the Irish Film Board, a producer within RTE. It seemed as though a corner had been turned but more trouble lay in store for Angel and its producers. In an RTE commissioned programme, titled Féach (Irish for ‘see’), John Boorman was questioned, quite aggressively, by interviewer Eamon O’ Muiri about the Angel debacle, with Boorman claiming that he had; “…committed the unforgivable sin in Ireland of being successful…and that there was a small group of vociferous paranoiacs intent on a slur campaign.” This was Boorman’s first time to speak out against anyone during the Angel controversy, comments he would later regret, according to Angela Phelan for the Sunday Tribune Newspaper. These comments were used in an AIP memo to all its members on November 20th 1981, where Bob Quinn asked all AIP members to create a relationship of non-co-operation between them and the Celtic Film Festival due to Boorman’s remarks. This non co-operation with the Celtic Film Festival was due solely to the fact that John Boorman was the patron of the Film Festival for this, its third year running. In effect he was asking for another boycott, but not of the Film Board. This time it was of a far more personal nature; he wished for a boycott of Boorman himself. It was during the Festival of Film and Television in Celtic Countries, held in County Wexford on the final weekend of March 1982 that Neil Jordan had intended to show a special advanced screening of Angel to the collected delegates. Still incensed by the furore over the funding allocated to Angel, Tiernan Mac Bride organised a meeting, for the AIP members and anyone else that may wish to attend, but he organised it for the same day and at the same time as Jordan wished to screen Angel. Whatever olive branch Jordan extended by asking for it to be screened at the festival among his peers, was snapped in two by the AIP’s actions. With the resignation of both Louis Heelan and John Boorman, the Irish Film Board was re-shuffled and re-structured in a way pleasing to the AIP, with the inclusion of two prominent AIP members on its board. The Film Board for 1982 consisted of Mr. Muiris Mac Conghail, Mr. Noel Pearson, Ms. Carolyn Swift, Mr. Tiernan Mac Bride and Mr. Michael Algar. Additionally, Mr. Robin O’ Sullivan continued on in his position. Once John Boorman resigned, Ms. Nuala Moiselle took his place and thus the seven-member committee was in place. This incarnation of the Irish Film Board lasted, with few personnel changes, until 1987, when the then Taoiseach Charles J. Haughey dissolved the Board for not being financially viable. In that time they financed many Irish films, but none ever as divisive as Angel.